Browse our glossary and get up to speed with commonly used terminology, key terms and definitions to help you navigate "uni-speak" with ease. The process of being issued a formal offer to enrol in a course by the University, and accepting the offer. The process of applying for entry into a course, directly to the University or via a Tertiary Admission Centre. For more information link. A system of training regulated by law or custom that combines on-the-job training and work experience while in paid employment with formal off-the-job training. The apprentice enters into a contract of training or training agreement with an employer that imposes mutual obligations on both parties. Articulation is transferring from a course to a higher level of study within the same discipline area, with credit being granted for prior study. An associate degree is designed to qualify you at the para-professional level. This course can also provide a pathway into a bachelor degree. A bachelor degree is usually the first course studied at university. Completion of a bachelor degree is required for entry into a number of professional careers. Some bachelor degrees can be coupled with degrees from other disciplines to form 'double degrees' which allow you to acquire two qualifications in significantly less time than it would take to complete each degree separately. A Campus is a CQUniversity location with student facilities such as libraries, lecture theatres and other learning spaces, student advice centres and commercial outlets such as food and beverage. Campuses can be accessed by both on-campus and online study students. A qualification awarded in the vocational education and training sector and recognised under the Australian Qualifications Framework (AQF). The four levels of certificate (I-IV) recognise increasing levels of skill. A course is a combination of units that make up a vocational or degree-level award. Core units are compulsory for you to complete as part of your course. CRICOS is the Commonwealth Register of Institutions and Courses for Overseas Students. All courses offered to people studying in Australia on student visas must have a CRICOS code. When you are made an offer of admission, you may choose to accept that offer and enrol immediately, or defer and commence at a later date. You can choose to defer when offered admission, or during your enrolment in the course. The maximum period of deferment is 12 months. A delivery site is a CQUniversity location you may be required to attend to complete a component of your course. Diplomas and advanced diplomas provide a vocational qualification that prepares you for work that requires a broad range of complex technical skills and in-depth knowledge in a chosen vocational area. The Doctor of Philosophy (PhD) is a supervised research higher degree, involving the completion of an original research project resulting in the submission of a thesis. Domestic availability describes the locations where and how domestic students (Australian and New Zealand Citizens and Permanent Residents) can study a course. Some years of the course may not be offered at all locations. An Elective is a unit you can choose to suit you. Enrolment follows admission. Once you have accepted your offer of admission, you will be required to select units from within your course to study in the forthcoming year or term. Enrolment involves a contract being formed between the student and the University. Subsequently, re-enrolment is required at an interval of not less than annually for as long as the student is an active candidate for an award. For most undergraduate degree-level study, entry is granted based on merit (measured by entry rank) and completion of prerequisite study. Your merit is measured in Overall Position (OP), Selection Rank (SR) or Australian Tertiary Entrance Rank (ATAR). The entry ranks listed should be used as a guide only and are subject to change. Entry requirements include the minimum level of prior education, training, experience, knowledge or skill you are required to demonstrate in order to gain entry into a course. An award that may be available to students unable to fulfil the requirements of the course for which they are enrolled. Our fast track study option gives you the opportunity to study units in Term 3 so you can complete your course in less time and graduate sooner. Full-time study usually requires you to study four units per term and two terms per year. A graduate certificate provides specialised study in a specific subject area, with the opportunity to progress to a graduate diploma and/or masters upon completion. 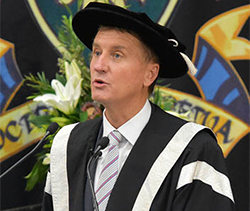 Many graduate certificate courses at CQUniversity are designed as a pathway for those who have not studied a bachelor degree but have relevant professional experience. Graduate diplomas are designed for those who have already completed a bachelor degree or equivalent or have significant professional or industry experience in a relevant area. Graduate diplomas enable you to develop skills in a specialised area or move in a new career direction. An honours course is an additional year of study full-time, or part-time equivalent, beyond a bachelor degree. Honours are designed for those who wish to extend their knowledge in a major area of specialisation or continue on to study a research higher degree. Intake describes when you can commence or enter a course. Term 2 intake is sometimes referred to as mid-year. An interim award is an award given to a student upon completion of a component of a degree, while still remaining enrolled within the original degree. International availability describes the locations where International students, who are not Australian or New Zealand Citizens or Permanent Residents, can study the course. 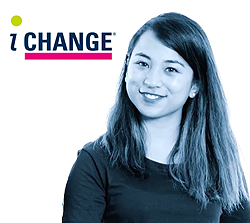 International students in Australia on a student visa must study full-time on-campus. International students can only undertake courses by online study from an overseas location. If you wish to study by online study, you may be required to attend a residential school/s in Australia for a short period of time to fulfil the requirements of the course. A masters by coursework teach a series of specialist units designed to extend your professional understanding in a particular subject area or provide you with an opportunity to move in a new professional direction. By completing a masters by research you will undertake original research in a particular area of interest, under supervision, which results in the submission of a thesis. You may be required to undertake coursework or research skills development studies before undertaking a masters by research. Four units in a specialist discipline which must include at least two advanced level units. Six units in a specialist discipline area which must include at least four advanced level units. A generic term meaning study for a unit that does not lead to an award that may be suitable if you wish to update or expand your knowledge in a specific discipline, without being committed to completing a course. For vocational courses, this means the course is not assessed. If you study on-campus you are required to regularly attend classes at a CQUniversity location. On-site study is undertaken at a nominated workplace as part of an in-built training course. If you study by Online Study there is no need to regularly attend classes on-campus. You may be required to attend residential school/s to support your learning. An Online Study Centre is a CQUniversity location that caters specifically for online study students, offering facilities such as study rooms, meeting rooms, computing and video conferencing, Internet access and access to staff who can assist with student enquiries. Our Online Study Centre's provide a quiet place for study, away from home and work. Part-time study usually requires you to study two units per term and two terms per year. A Partner Study Hub is a CQUniversity location where students can drop in to utilise Internet and computing facilities and access information about CQUniversity courses and services. Partner Study Hubs are operated in collaboration with CQUniversity partners such as TAFE and other organisations. 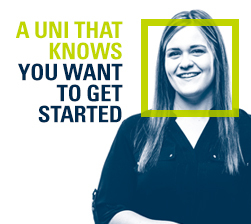 While limited student facilities and services are available here, our friendly staff can help you connect with other CQUniversity staff and services. Postgraduate study is higher degree-level study, usually undertaken after completion of an undergraduate degree, such as a graduate certificate, graduate diploma, master or doctorate. Prerequisite study is the minimum achievement level required in senior school subjects for entry into a course. If you do not meet the prerequisite requirement/s for your desired course, we have English, Work and Study preparation courses designed to help. Queensland Tertiary Admissions Centre. For most undergraduate degree-level study, you are required to apply to the relevant state Tertiary Admission Centre (TAC). The acknowledgement of a person's skills and knowledge acquired through previous education, training, work or life experience, which may be used to grant status or credit in a course. Recommended study describes the subject areas that are strongly recommended for you to have knowledge in, but are not compulsory. 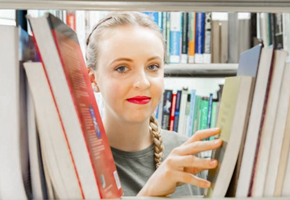 A research higher degree is a course for which at least two-thirds of the student load for the course is required as research work and not more than one third as coursework. Residential schools can be compulsory or recommended and are an important part of the course allowing you to network with lecturers, students and industry specialists, whilst getting hands-on, practical experience. On average residential schools are 2–5 days in length and students are required to attend an intensive schedule of classes at a nominated campus. An area of specialisation within a course or degree focusing on a particular field of study. A Study Centre is a CQUniversity location that is a smaller version of a campus. While you will find staff and teaching facilities here, study centres usually don't have a full range of services, for example, commercial outlets/food and beverage. A term is a 12 week period of time (normally with a vacation week during the period) when lectures and tutorials are held and when assessment pieces are due. A system of vocational training, combining off-the-job training at an approved training provider with on-the-job training and practical work experience. Universities Admissions Centre. For most undergraduate degree-level study, you are required to apply to the relevant state Tertiary Admission Centre (TAC). An undergraduate course is normally the first degree undertaken at university such as a diploma, associate degree or bachelor. The term units describes the individual units that make up a vocational and degree-level award. Victorian Tertiary Admissions Centre. For most undergraduate degree-level study, you are required to apply to the relevant state Tertiary Admission Centre (TAC). Work integrated learning is a practical component of a course relevant to the profession.